and is hosted by Daisy Yellow! Icard…it’s like an iPod only…um, different. Yeah, different! 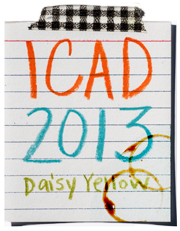 Anyway it’s ICAD not Icard! Friends I am here to share my latest, greatest adventure. I was strongly wanting to stretch myself artistically…meaning just squeeze creativity back into my list of things to do. Especially since I enjoy it! Helloooooo! I have been observing some wonderful creativity through others as well as feeling drawn to various new mediums, like painting, altered book making and collage. Well guess what? 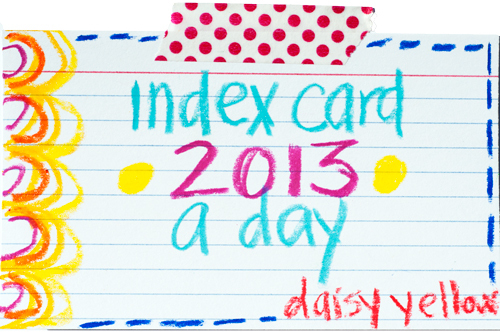 I am taking the miniest, and giantest leap of faith right into the MIX with some REAL artists from all over the globe with the Index Card A Day Challenge! 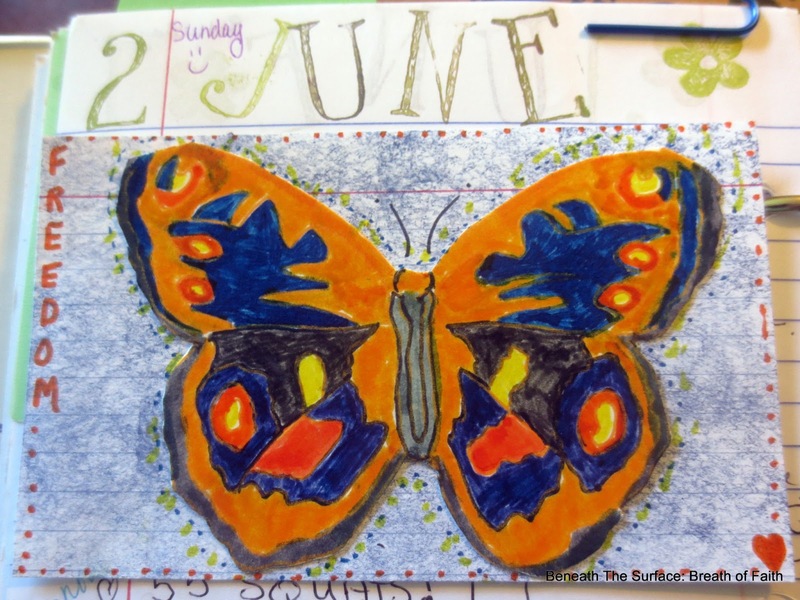 I am thrilled to be joining Tammy and friends and making one index card a day (such a small step) while experimenting with optional prompts as well seeing everyone else’s creations. But for this writing chick who never really ever considers herself artsy at all, it is a GIANT leap into a wildly fun adventure. 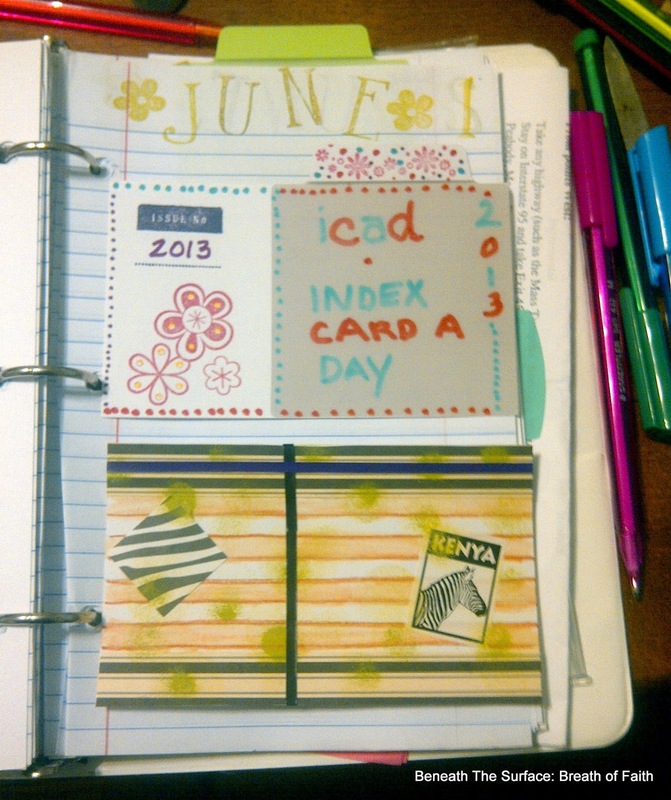 Because an index card is a really small canvas…and I CAN…really I can…do it! Here are my first efforts! I am looking forward to using some paints, but need to buy some! Colored pencils, stamping ink, paper scraps, markers and stickers were on hand for these simple creations for the first days of the challenge! Here are my first two cards and Title card as well! This Zebra sticker came from a free sticker pack from a Highlights magazine advertising bundle that was sent to us in hopes of gaining our subscription. I knew I would use the stickers someday! I’m trying to use all of the scraps I refuse to “release” because I like them so much or they just could be used for “something someday”! It’s SOMEDAY, peeps! 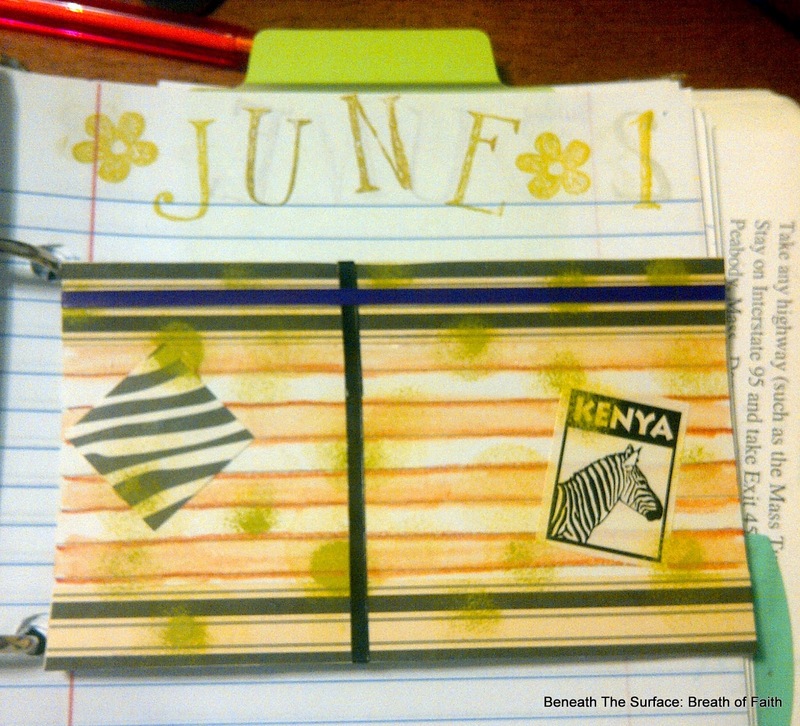 Not only was I super inspired to start this challenge BUT I also went ahead and stamped ahead my Planner pages for the month and my June goal pages! I felt inspired, so now I can place my index card a day right onto my planner page for photo purposes and it will inspire me even more to keep up with my daily planner! 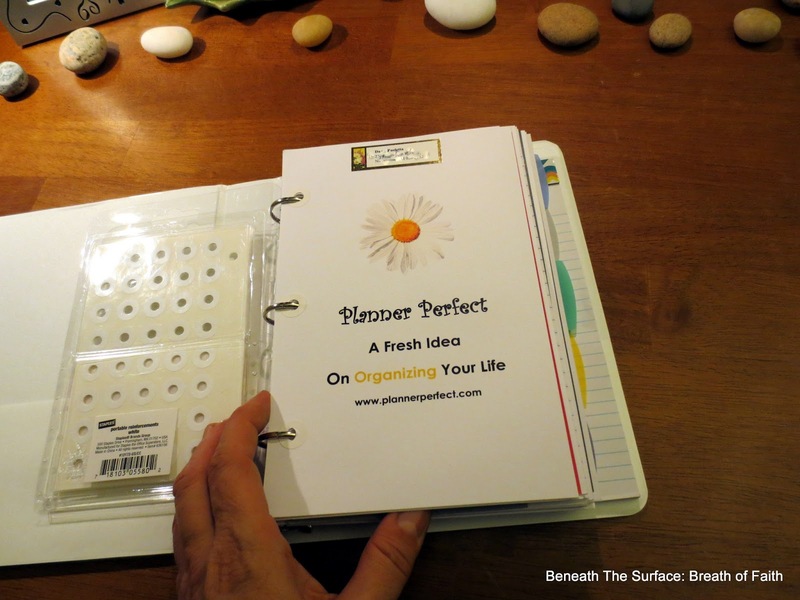 I am still loving my Planner Perfectby the way! Although had I known I would be Homeschooling at the start of the year I would have got the Big Mama one! Meanwhile…I am a “to-go” kinda girl. It’s not too late for you to join in. I have been loving the index cards posted on the Facebook page especially- you all know I am a Facebook fan. So much inspiration flowing! Consider joining for the challenge. It goes through end of July! I wanted to make sure you had the chance to find out about this wonderful opportunity. I will post periodically (not daily) throughout the challenge as my schedule allows. However I will upload onto the Facebook page daily! Yay! You're playing!! Great cards and I LOVE that planner!!! This sounds awesome, thanks for sharing.